Heat Furnace | How to Buy an Efficient Heat Furnace? How to Buy an Efficient Heat Furnace? A heat furnace is a type of furnace that is installed inside a home to produce the right amount of heat to make the indoor environment more comfortable to live in heat. Usually, heat furnaces are essential appliances in regions where the cold season makes it unbearable to stay indoors without a proper source of warmth. Heat furnaces operate using a certain kind of fuel – some use gas, oil, wood or electricity. To be able to cut down the operating cost of a home furnace, it is important to purchase an efficient furnace. To buy a furnace, you need to look at the rating of different furnace heat products in the market. You can ask experts about their recommendations on what brand of home furnace to buy. You can also do your personal research on this area if you want to be completely sure that you are buying the right furnace. 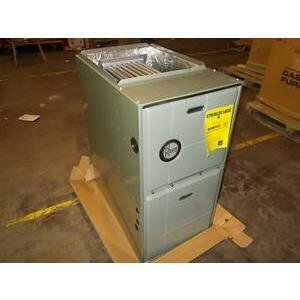 With the increasing cost in furnace fuel, it is really important to buy a very efficient heat furnace. Furnace efficiency is measured by getting the Annual Fuel Utilization Efficiency or AFUE. The AFUE can usually be found printed on the exterior of the furnace. High efficiency heat furnaces are those that have an AFUE greater than or equal to 90%. Furnaces with AFUE of up to 80% can be considered as mid-efficient furnaces. When buying a furnace, the recommended minimum AFUE rating that you should get is only 78%. Any heat furnace with AFUE lower than that is low performing and will cost you a lot of money to operate. However, heat furnaces with higher AFUE are known to be more expensive in terms of per unit cost. So, if you have a limited budget, try to go to up to mid-efficient furnaces only. Anyway, you can be able to realize the savings of having a highly efficient furnace in the long run.